Kalakka Povathu Yaaru Champions is a Tamil comedy reality show and is a very famous comedy show aired on Star Vijay Television. 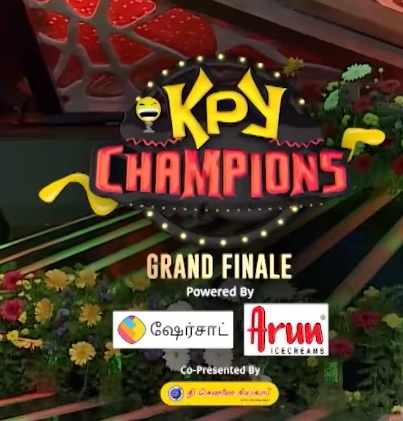 The grand finale of Kalakka Povathu Yaaru (KPY) Champions was aired on 27th January 2019. This show has always been a great opportunity for the comedian of Tamil Nadu to showcase their comedy talent and this is also another talent hunt program of the media world. The episodes of Kalakkapovadhu Yaaru Champions is also available to watch on the official hotstar website and through the hotstar mobile app. Check out the title winner, Runner-up and more information about the Kalakka Povathu Yaaru champions finals below. 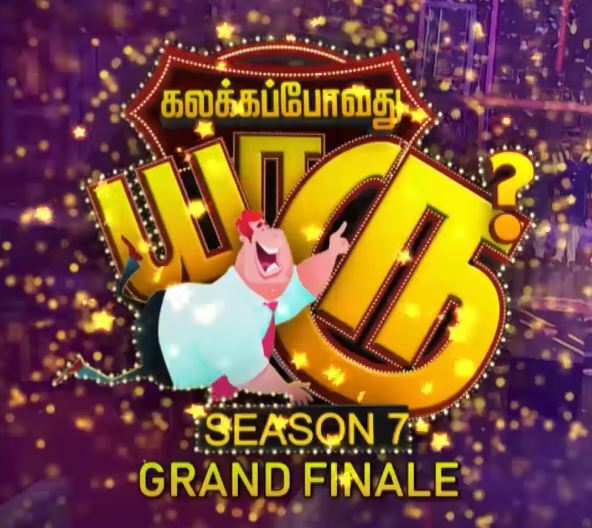 The seventh season of Kalakka Povathu Yaaru was concluded with a grand finale. The show was aired on Saturday and Sunday from 8:30 pm onwards in Star Vijay TV. The grand finale of Kalakka Povadhu Yaaru season 7 was aired on 1st April 2018 at 3.00 PM. All last six season the show brought a lot of surprises to the audiences which include the entertainment world, politics, social, education and other affairs in the day to day life. The topics of each comedy episodes vary from week to week. 30 best comedians are shortlisted from different cities of the Tamil Nadu and this effort of Vijay Tv is one of the most promising efforts in the hunting the right talent in the field of humour and comedy. Till date, this show gave a lot of talents comedian and some of the past winners are listed here for the readers to know. Adhavan, Sivakarthikeyan, Kovai Guna, Arjun, Vinod and Bala and Mohammed Kuraishi. They were fantastic in the last seasons of KPY. Check out the winners below. After a long seven month journey, the judges shortlisted four finalists. They really worked hard to be at the stage of Grand Finale. Now the finalist of the show is all set to win over the title of the Best Comedian. The stages will be on fire on 1st April at 3 pm onwards. Till date, all the remaining contestants are fighting their heart out to come to the finale stage and showcase their best talent. All the best talents among these 30 contestants are ready to perform and bring the stage on fire. After a lot of rumour and assumption, the final names of the Guest are announced. The Guest appearing on Grand Finale of the KPY would be Little superstar Silambarasan aka Simbu and Oviya. These guests will be announcing the title of the winner after the Grand Finale. Apart from the performances of the finalists, the stage will be shining with the dance performances of Ami Bhargav, Sandy Master and many more participants who are eminent and master in the art. It is even interesting to know that Oviya and Simbu will be performing some humorous performances. Jacqueline and VK Rakshan are the hosts of the show and the judges of the show are Erode Mahesh, Sethy, Balaji, Harathi and VJ Priyanka.